Egyptian media mogul Tawfiq Okasha has been sentenced to six months imprisonment for his insulting comments on torture victim Khaled Said. Okasha, owner of the satellite TV station El-Faraeen and also the channel’s most prominent face, was running for the office of president. As an anti-revolutionist and former Mubarak sympathizer the trial had heated a controversial debate in Egypt about the freedom of speech under military rule. The verdict is unlikely to calm this debate. Okasha faced trial as Laila Marzouk, the mother of Khaled Said who died in 2010 due to police violence in Alexandria, accused the TV presenter of defaming her son on his show. 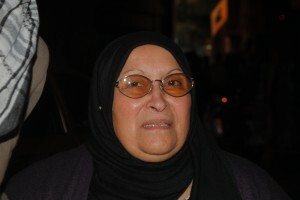 Footage of Khaled Said’s death had spread on the internet and is seen as one major trigger for the revolutionist movement which later ousted long-term president Mubarak. In one of his shows Okasha blamed the mother for her son’s death, among other things advising her to “first raise your son so that he does not abuse bango [local name for marihuana]”. The Misdemeanor Court of Nasr City, a Cairo district, now agreed with this depiction, sentencing Okasha in absentia for six months in jail and an additional fine. The defendant can appeal the ruling. Whatever way the trial will finally be closed, Okasha’s case has already sparked a heated debate in Egypt. 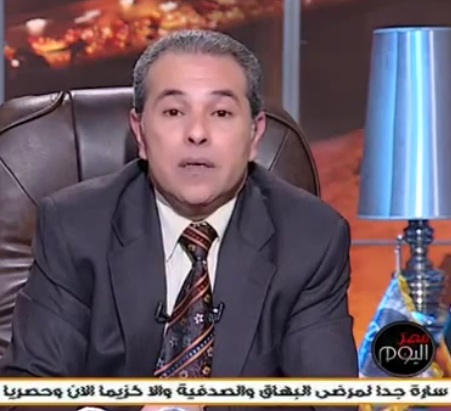 As one of the most prominent figures in Egypt’s media landscape Okasha positioned himself in favour of the ruling military council in his talk show. As an outspoken anti-Zionist and anti-US-American he recently headed a demonstration near the US embassy in Cairo chanting pro-military slogans. Clashes were reported as supporters of the revolutionist movement, which strongly calls for an end of military rule, stepped in. Recently Okasha, who used to support president Mubarak even when public sentiment was already changing during last year’s mass demonstrations, was openly confronting members of revolutionist movements. When adressing the public in Luxor last month Okasha’s vehicle was attacked by members of April 6th movement who earlier tried to hamper him from entering the stage. A candidate for May’s presidential elections and often aim of sarcasm, soon after the news of his sentencing occured even critics of Okasha stated the trial was yet another example of the decline in the freedom of speech under the ruling military council.